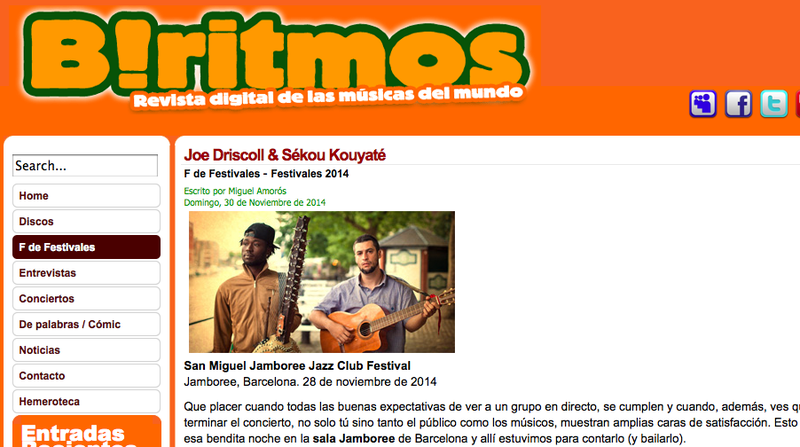 B!ritmos Magazine reviews Joe Driscol & Sekou Kouyate's concert last Friday at Jamboree Jazz Cub in Barcelona (Spain). A great show that brought the best of both music to the city. Learn more here.